NUBA MOUNTAINS, Sudan (CNS) — After watching for years as newly independent South Sudan has succumbed to civil war fought largely along ethnic lines, displacing one-third of the population, church leaders in the Nuba Mountains of Sudan are working hard to ensure that their small enclave of liberated territory will not go the way of its neighbors to the south. “Africa is suffering from one big cancer: tribalism. And as long as tribalism prevails, people will suffer a lot,” Bishop Macram Max Gassis, retired bishop of El Obeid, Sudan, told Catholic News Service. “We are encouraging our government not to follow the example of South Sudan, because, someday, when peace finally comes, people will want to fight for power and resources,” he said. “This isn’t much of an issue yet for the Nuba, but we’re worried this evil will creep into society here,” said Catena, a lay missionary for the U.S.-based Catholic Medical Mission Board. “Khartoum is a master at manipulating people. I’m sure they have spies here fomenting problems. When conflicts do emerge, I always wonder if some agent from Khartoum is here stirring the pot,” he said. “Our mission is to evangelize, educate, entertain and inform people. In all that work, we strive to build reconciliation by teaching people how to live at peace with one another. Most people in the Nuba Mountains haven’t been to school, because the Khartoum government never wanted them to be educated. So the radio is here to help them learn,” Makki said. 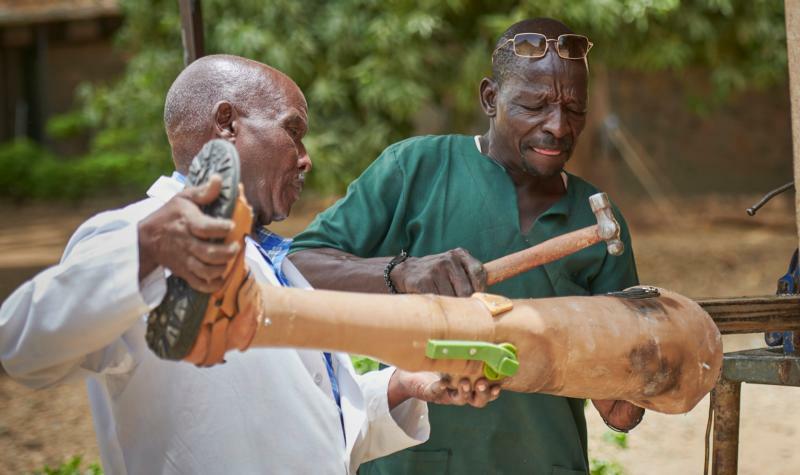 “We use the word Nuba as if it were one big tribe, and we encourage the people to do the same, even though we’re many tribes with many languages,” Makki added. The station’s news editor, Kocholo Latmer, said the station uses Arabic and English, the common languages that unite the region, along with Tira and Otoro, the two most prominent local languages. Yet recent budget cuts — the station’s staff of 14 was halved last year — have made it harder to be inclusive.